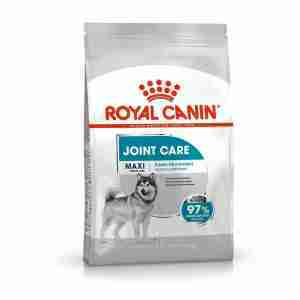 This special blend has larger dogs in mind due to the larger strain put on their joints. This can cause some discomfort and slow them down. It is important to make sure your dog is comfortable as possible as it grows older, this recipe contains nutrients that protect joints keeping your dog lively and happy. 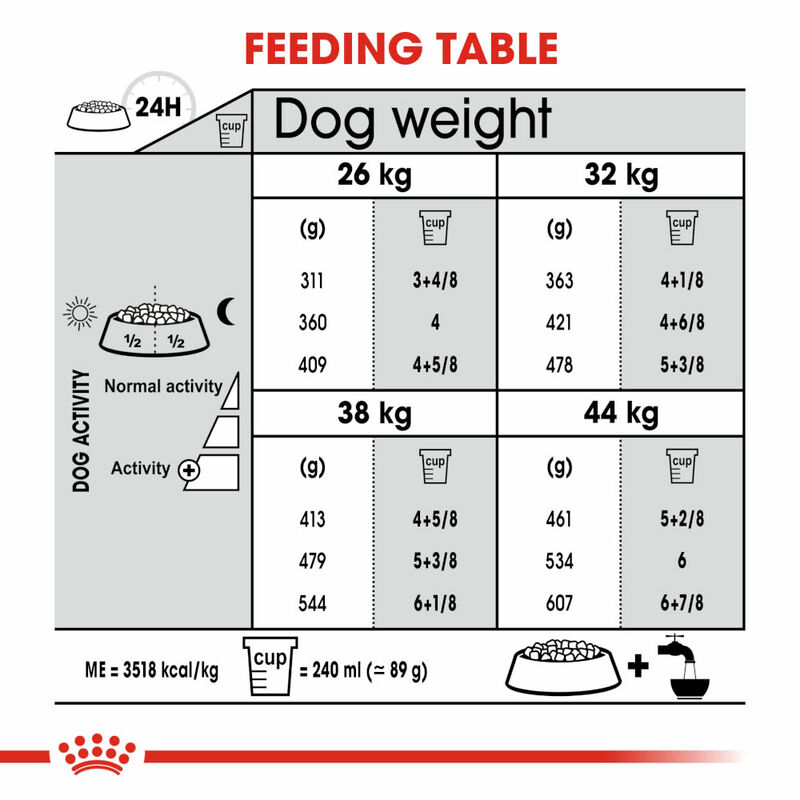 Unfortunately today, many domestic pets suffer from being overweight, which puts extra strain on their joints. This formula helps your dog stay lighter on his paws. 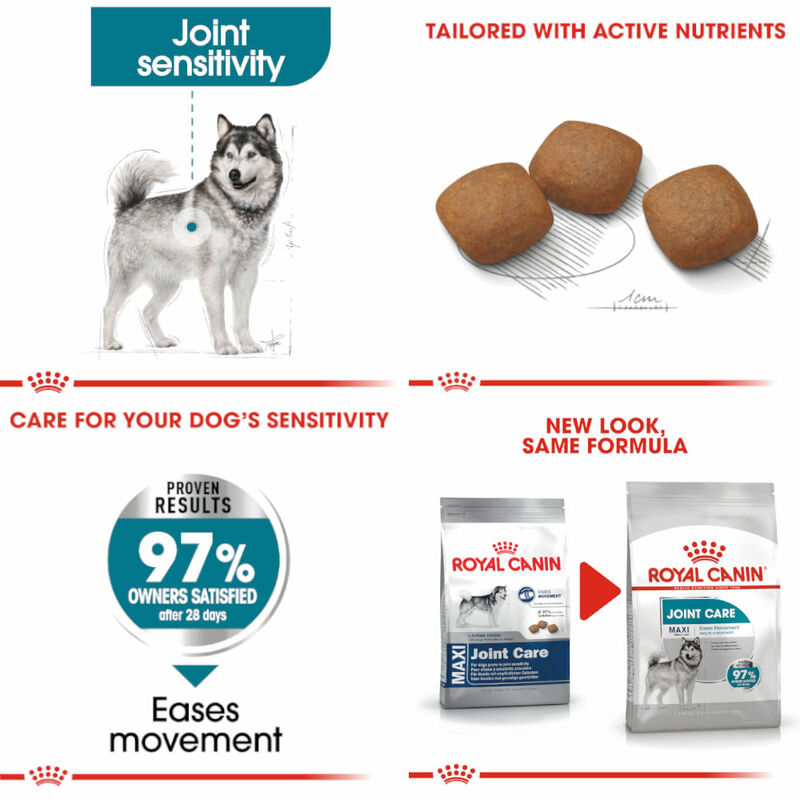 Royal Canin Joint Care Maxi contains a reduced calorie content to keep unwanted weight off your dog’s joints. Collagen – the building block of joints – is just one of the active nutrients in this formula that targets cartilage, reinforcing both its structure and its metabolism. What’s more, we’ve also added a powerful cellular antioxidant. The kibble in Royal Canin Joint Care Maxi is carefully designed to fit perfectly between your large dog’s teeth. We’re sure that your dog will enjoy eating his kibble as much as we enjoyed preparing it! Maize, dehydrated poultry protein, wheat, animal fats, vegetable fibres, vegetable protein isolate*, maize flour, rice, hydrolysed animal proteins, maize gluten, beet pulp, fish oil, yeasts, minerals, soya oil, hydrolysed collagen (0.84%), marigold extract (source of lutein), hydrolysed cartilage (source of chondroitin). ANALYTICAL CONSTITUENTS : Protein: 26% - Fat content: 15% - Crude ash: 6.2% - Crude fibres: 6.3% - Per kg: EPA/DHA: 4 g. * L.I.P. : protein selected for its very high digestibility.